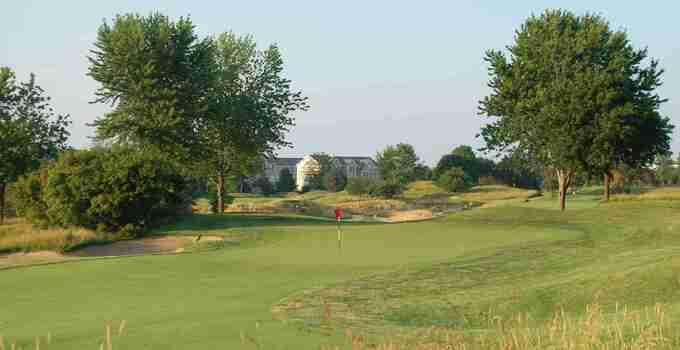 After a tough winter in the Chicagoland region and through much of the Midwest, Aurora's Orchard Valley Golf Club has made the full comeback from winterkill. All 18 greens are not only open at Orchard Valley, but Billy Casper Golf regional director of agronomy Bryan Stromme said they are among the best in the entire region. As part of that effort, a pair of putting surfaces at the facility were completely resurfaced. “Due to the extreme winter kill that occurred on over 65 percent of Chicago golf courses, the Orchard Valley Agronomic Team quickly addressed several issues throughout the facility resulting in two newly turfed greens and highly detailed playing conditions for your fun and enjoyment," Stromme said. READ: What is winterkill and why was it so bad this past winter? The greens on hole Nos. 1 and 4 are now open with 007 bentgrass putting surfaces. The strain of bentgrass, developed by researchers at Rutgers University and produced exclusively by Seed Research of Oregon, is the same one used on the greens at the 2011 and '12 U.S. Open. This form of bentgrass grows more densely and thrives in more extremes of weather than other types of bentgrass and better than poa annua grass. "The 007 grass will make you feel like James Bond on a secret mission to low scores," Stromme joked. Following a historically lousy winter, Stromme hopes players are excited to get out and play on great greens.